We were rehanging some of our art from Michele Banks today. The first is on a wall in our family room. The second is on the wall of our downstairs, guest bathroom, which we just repainted. Where is yours? 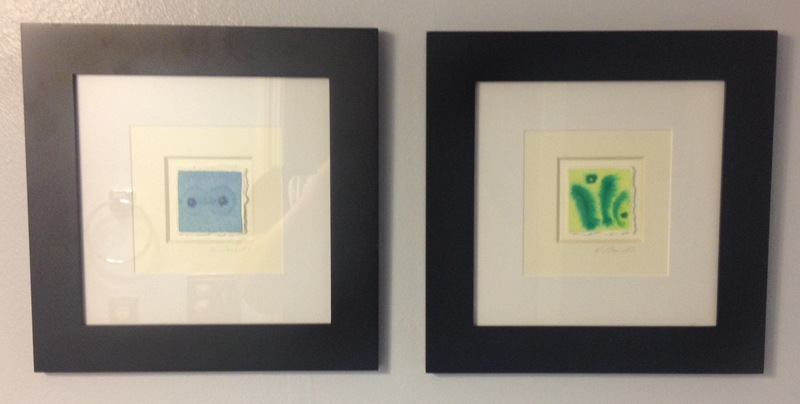 You do have some “Artologica” Art, don’t you? If not, go here as quickly as possible to correct that situation. This entry was posted in The Art of Science and tagged Art, Artologica, etsy, science art. Bookmark the permalink. One is at my desk at work, and the other is on the side of a book case at home!